The best kids programing manages to keep the adults watching entertained too, and Sesame Street has found the perfect way to combine pop culture parodies for parents with observational skills for kids. 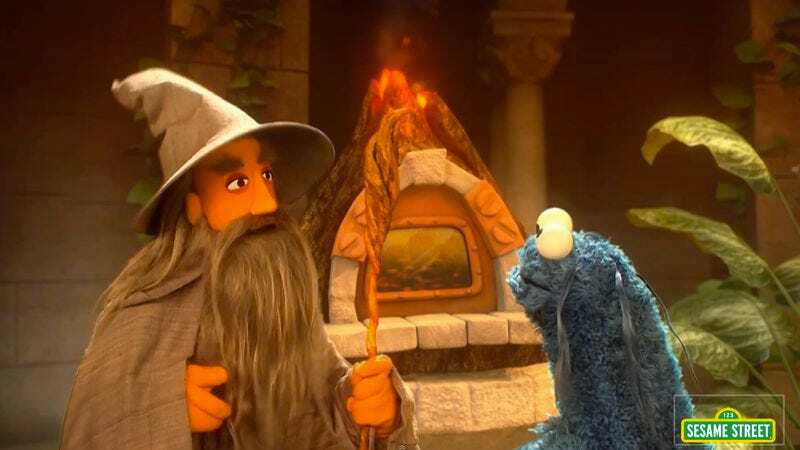 In the latest video, “The Lord Of The Crumbs”—a delightful take on The Lord Of The Rings—Gobble (Cookie Monster) has to remember a lost recipe in order to bake his “precious” cookies in the “fires of Mt. Crumb.” It’s a lesson in delayed gratification, memory recall, and a bit of math as well.